Currently he serves as CSO – Chief Security Ambassador at Eleven Paths where he works alongside with world-renowned expert on security cybernetics issues. 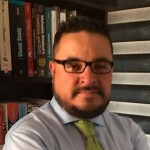 He spent 20 years of his life to working for the Colombian Government, particularly in the Ministry of National Defense where he served as Cyber Security Advisor and Cyber defense. During this period he was part of bilateral cooperation on cybersecurity between Colombia and the governments of Israel and South Korea. He was responsible for technical advice “National Cyber Security Policy and Cyberdefence – CONPES 3701 “and later was responsible for designing and implementing the Emergency Response Group Cibernéticas of Colombia – colCERT, where he finished his career in the Government as coordinator of the group. He was part of the OAS technical missions to advise on the creation of the National Cyber Incident Response Centers for the Dominican Republic, Panama, Mexico and Guatemala, equally and as part of missions of the OAS, has advised the latter country and Chile in generating national cybersecurity policies. Awarded the “Ministry of Defense” Military Medal in the only Category “Distinguished Service”; he has served as a university professor and instructor at Diplomados VoIP and Network Security and integration. Current writer of the “Blog SamuraiBlanco, global moderator DragonJAR Community Safety. He has been a national and international speaker on topics of Security and among other studies. He studied with the Carnegie Mellon University the course “Advanced Incident Handling” and he has as an ethical hacker certification issued by the EC-Council, he is Engineer from EAN Systems University of Bogotá and, he has the Project Management specialization Engineering and Management Informatics at the same university; He is a specialist in Network Security and a speciallist in Security Operating systemsfrom the Ouberta University of Catalunya.